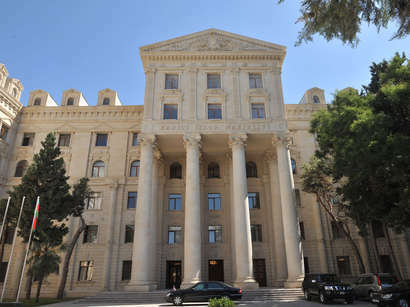 Programme of the fact-finding visit of the co-rapporteurs Andres Herkel and Tony Lloyd to Azerbaijan was announced. The co-rapporteurs will arrive in Azerbaijan on October 29 and will hold meetings from October 30 to November 2, Trend reports with reference to the Press-Service of the Council of Europe. Thus, on October 30, meetings will be held with Meeting with NGOs, YAP party, Azadliq bloc, Musavat Party, media representatives and Kamaladdin Heydarov, Minister of Emergencies; on October 31 - with municipal authorities of Quba, national minorities of the district and NGO, Eldar Mahmudov, Minister of National Security; on November 1 with Mr Mazahir Panahov, Chairman of Central Electoral Commission, Mr Elmar Mammadyarov, Minister of Foreign Affairs, Zakir Garalov, Prosecutor General, Fikrat Mammadov, Minister of Justice, members of Legal Council of Justice, sentenced persons: Sakit Zahidov, Ruslan Bashirli and Ramin Tagiyev. On the final day of the visit November 2, the co-rapporteurs will organize debates with members of Milli Mejlis Delegation to PACE, members of Task Force on Political Prisoners, Ogtay Asadov, Chairman of Milli Mejlis, students of Azerbaijan University of Languages, Ramiz Mehdiyev, head of the Presidential Administration and Ilham Aliyev, President of the Republic of Azerbaijan.